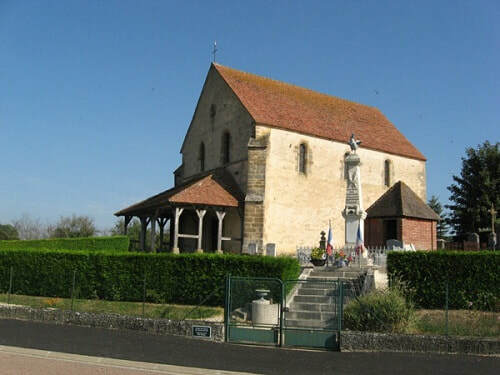 La Ville-au-Bois is a small village in the department of the Aube some 50 kilometres east-north-east of Troyes, and some 15 kilometres east-north-east of Brienne le Chateau. 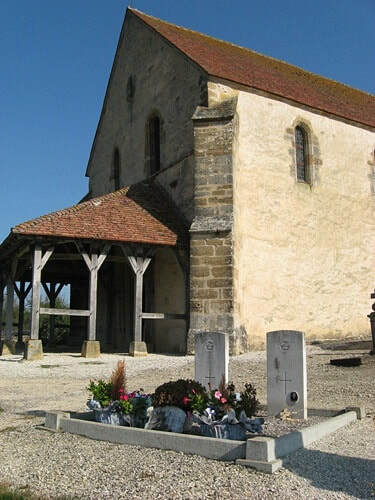 The graves of the two British airmen are between the south-east corner of the church and the local memorial near the south-east boundary of the church. Incident: The aircraft crashed at La Ville-aux-Bois. Of the remaining crew, Sgt. F. Stormont and Flying Office T. W. Munro escaped. Fl. Sgt. H. R. Gibson, Sgt. J. O. Ackroyd, Sgt. F. L. Preece, Warrant Officer, 2nd Class E. Elder (R.C.A.F.) and Sgt. W. Nicholson were taken prisoner. 1283980 Sergeant Albert William Burton, Air Gunner in 192 Squadron, Royal Air Force Volunteer Reserve, died 4th May 1944, aged 35. Son of Albert William and Maud Burton; husband of Florence Burton, of Bermondsey, London. 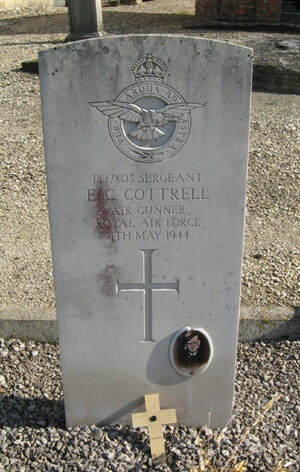 1897803 Sergeant Edward Cyril Cottrell, Air Gunner in 192 Squadron, Royal Air Force Volunteer Reserve, died 4th May 1944.